As a part of AMWAJ’s fully integrated Facilities Management Service, we supply fully trained office waiters and waitresses to corporate offices. Service of hot and cold beverages. Meetings and board meeting lunches or dinners. 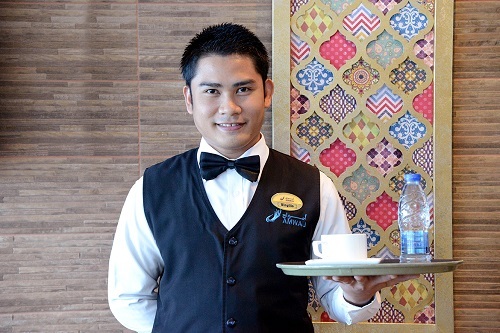 AMWAJ's hospitality team goes through a stringent training process, to cover all aspects of their job to ensure a smooth and efficient service for every client, before being deployed.